Toast nuts at 350 F (175 C) till golden brown, about 10 minutes. Watch closely as they burn easily. Mix sugar, salt and cayenne pepper in bowl. Add water, honey, oil in a pan over medium heat. 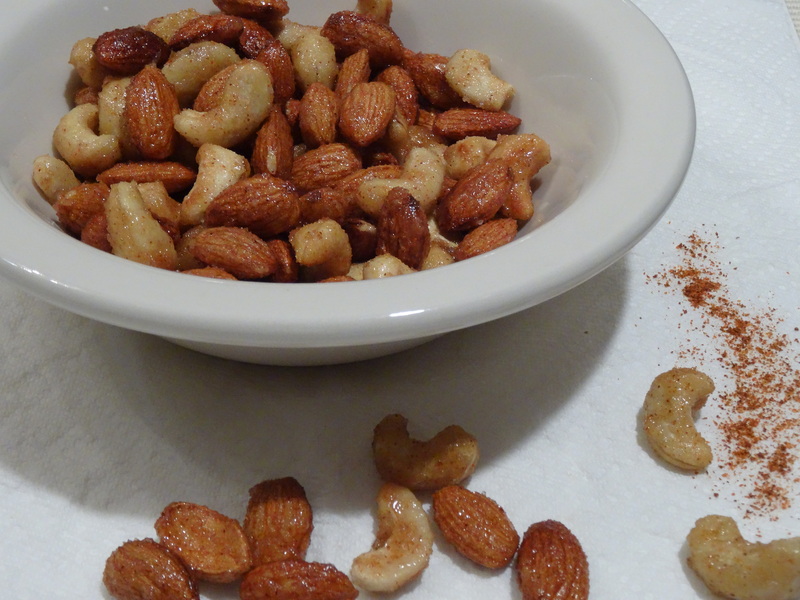 Add toasted nuts when mixture is heated. Coat evenly. Pour nuts into sugar mixture and coat evenly. Spread onto a baking sheet in a single later to cool.